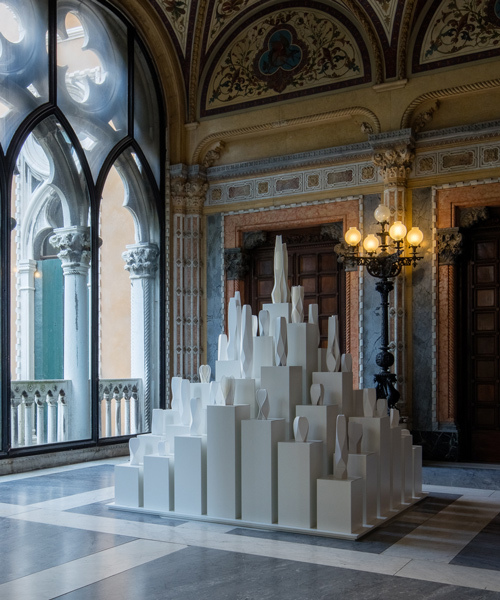 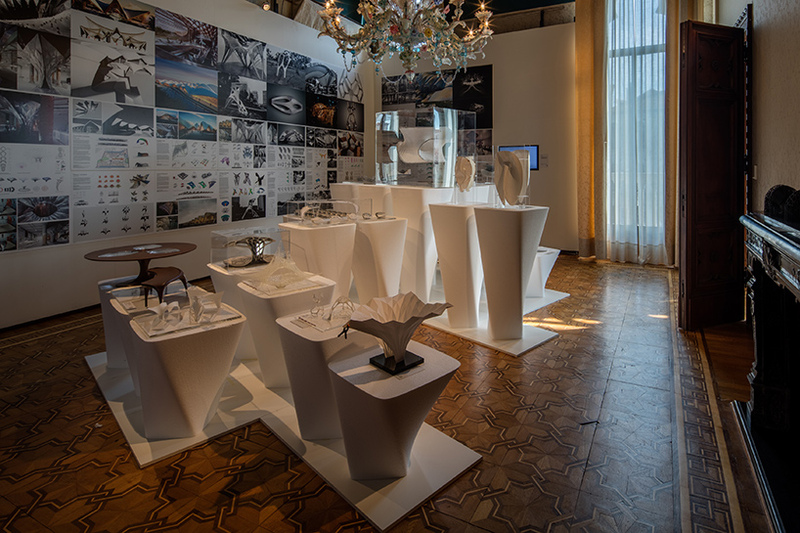 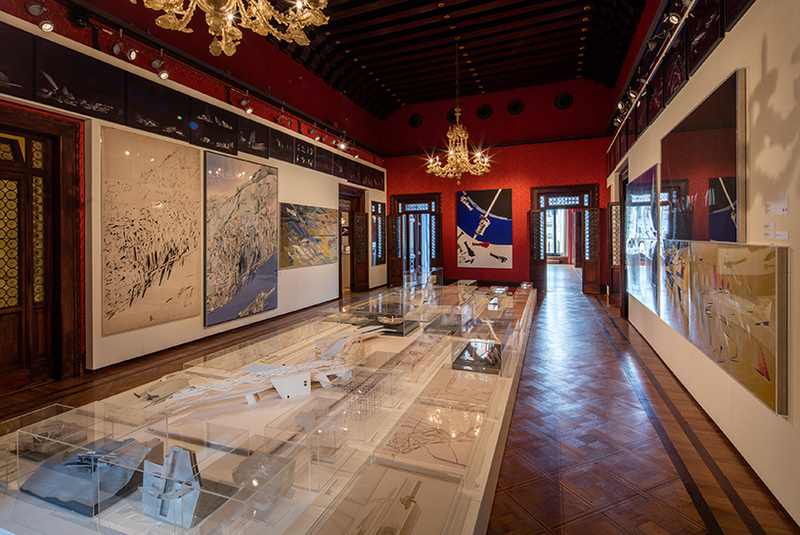 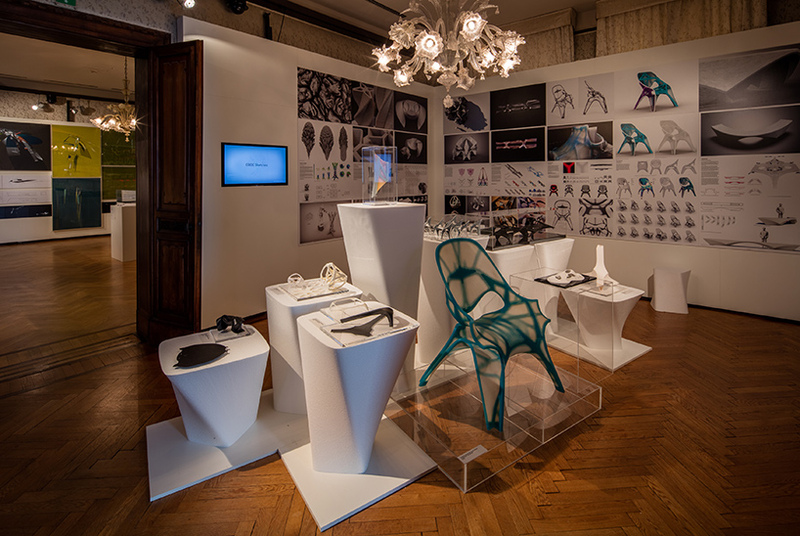 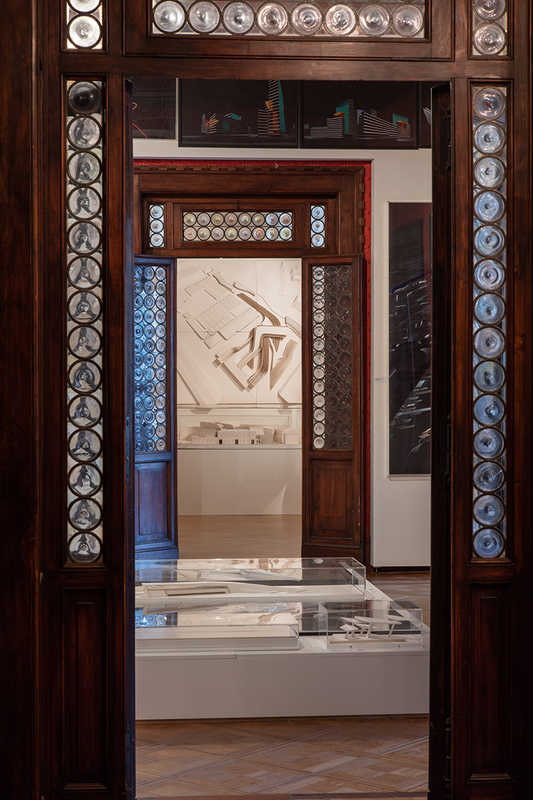 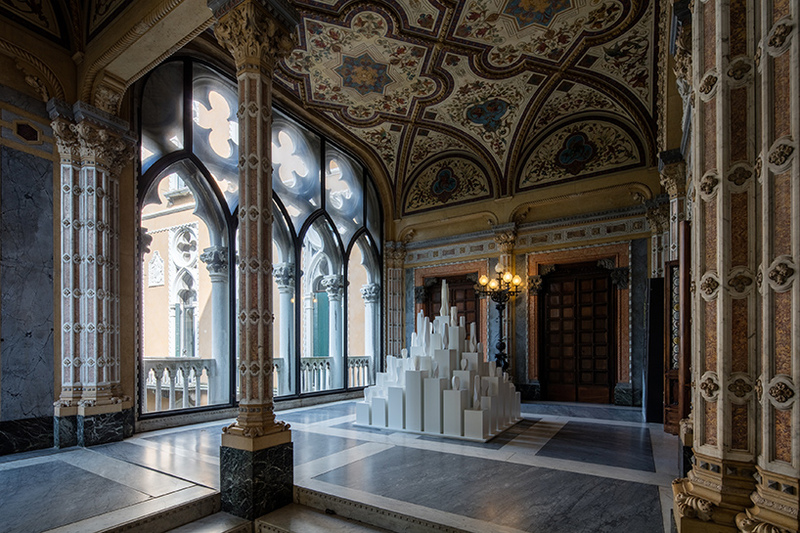 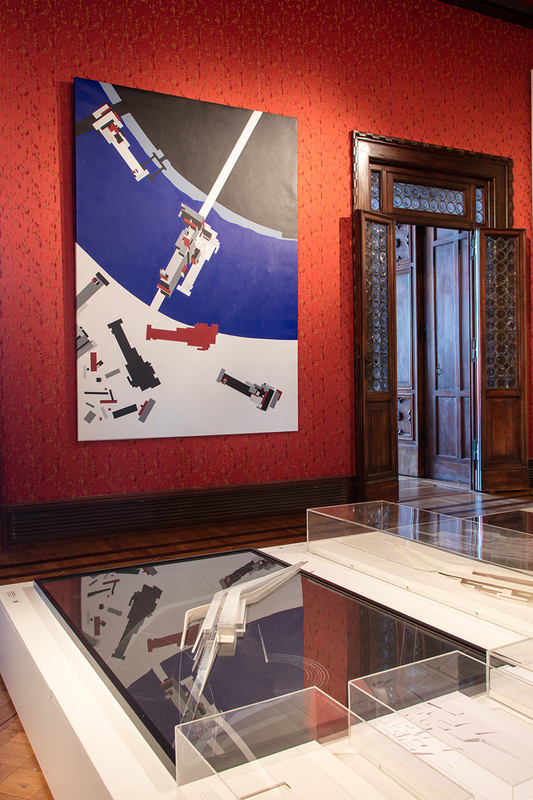 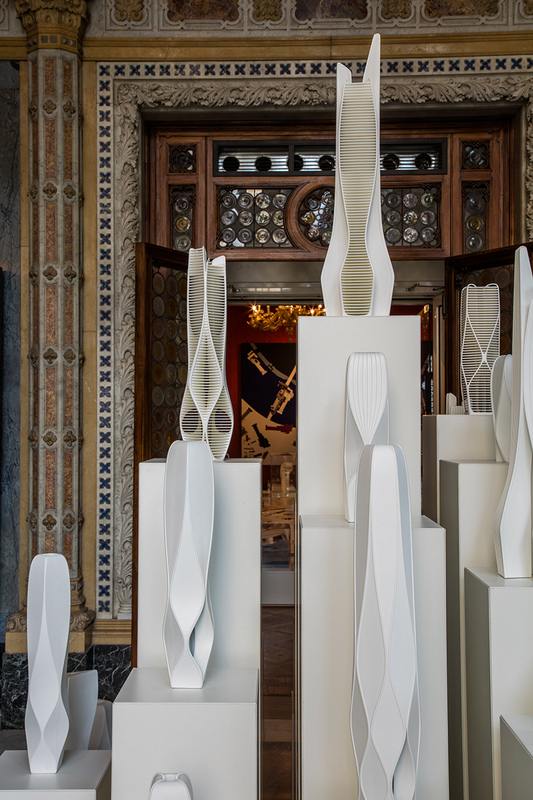 in celebration of zaha hadid’s career in architecture and design, fondazione berengo has opened a retrospective exhibition of her work at the 16th century palazzo franchetti on venice’s grand canal. 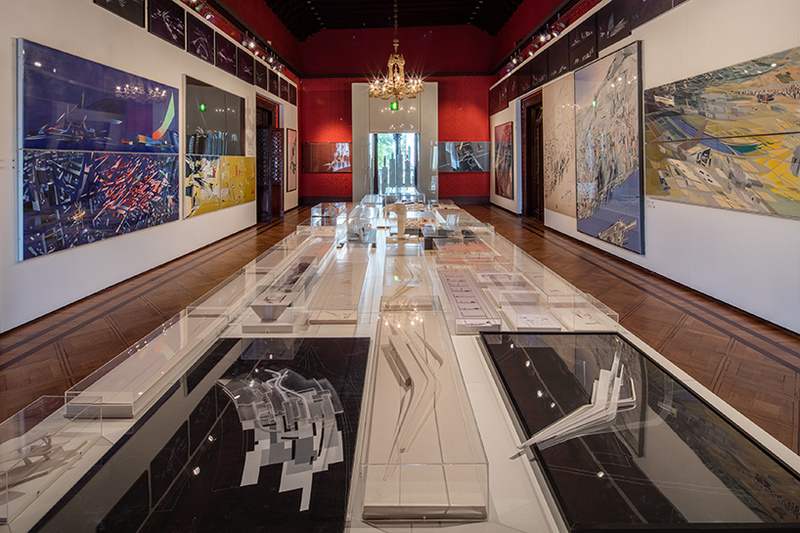 coinciding with the 2016 venice architectural biennale, the exhibition showcases many of hadid’s seminal paintings, drawings and models, conveying her architectural projects in a variety of media, including photography and film. 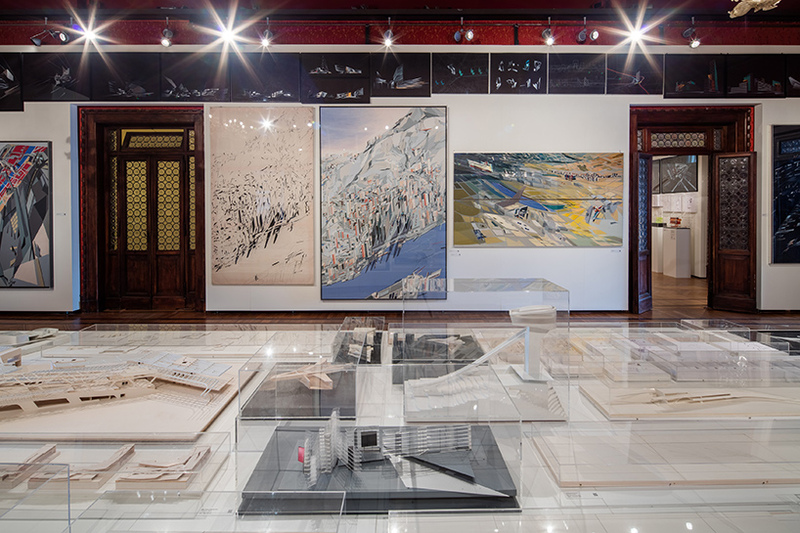 through the designs — built, under-construction, in development and unrealized — the display presents the pioneering research and investigation that instigates and defines the late architect’s work. 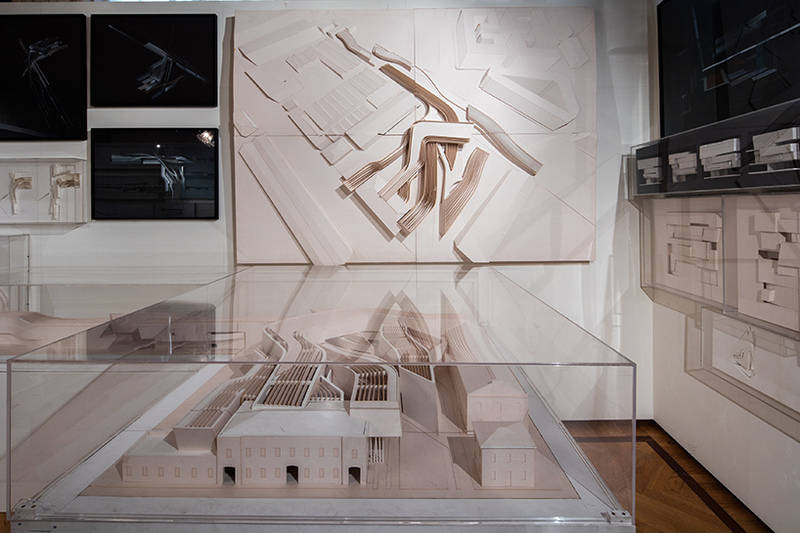 the exhibition remains open until november 27, 2016.
three projects representing milestones in zaha hadid’s career are presented in dedicated rooms: the vitra fire station in weil am rhein (completed 1993) — zaha hadid architects’ first completed scheme; the rosenthal center for contemporary art in cincinnati (completed 2003) — which contributed to hadid being awarded the pritzker prize; and the MAXXI museum of 21st century arts in rome (completed 2009) — which transcends the periods in which the practice implemented and developed its wide-ranging experimentation with the rapid advancements in computer-aided design. 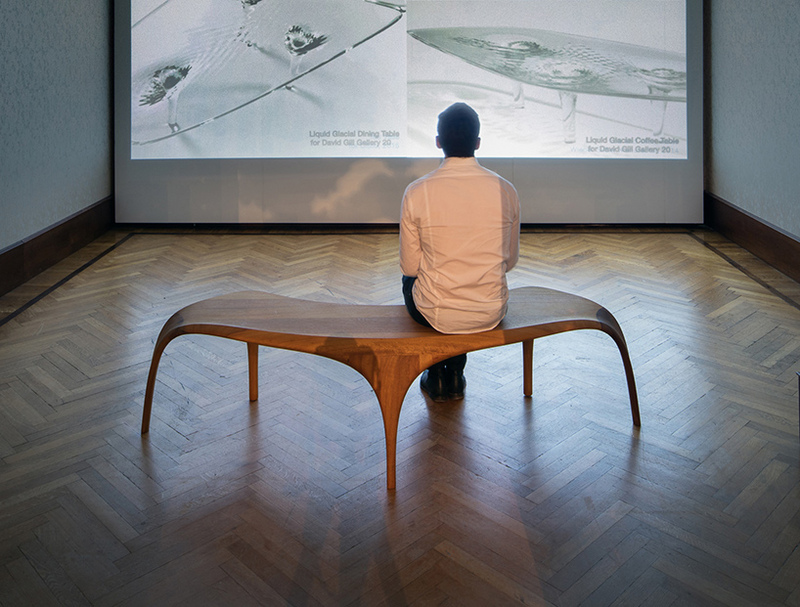 see designboom’s previous coverage of the exhibition here.